Tim O’Donoghue had worked in the family driving instructor business for many years and had recently set up a new business conducting driving assessments on behalf of both the medical profession and large haulage companies. He needed a brochure website to showcase his wide range of services and to get found in a Google search. My brief was to create this website using the new branding and to maximize his opportunities for search engine optimization. Tim also enquired about LinkedIn and we encouraged him to improve his profile, since his customer base is largely other businesses and LinkedIn is the most popular networking site for professionals. We implemented a plan for achieving Tim’s goals. All websites must be well laid out, easily navigated, written for easy reading also also written for easy search engine crawling (ranking high in a Google search result). 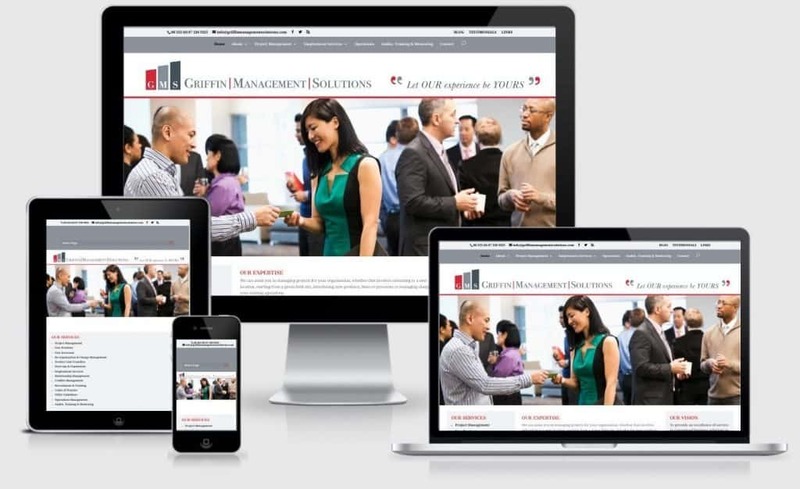 Websites must also be visually appealing and portraying a professional look and feel. => designed and built the website on the WordPress platform, while carrying the branding through all aspects of the website. WordPress is robust, functional and secure, so it suited Tim’s needs perfectly. => conducted research to determine relevant keywords which were being used often in Google searches. We then looked at the Google Adwords competition for these keywords and selected keywords which were used often but for which competition was not too high. We populated our pages with these keywords, while keeping the text easy to read. => ensured that the site was secure and loaded fast. Fast loading of pages is also important for Google. => We also overhauled Tim’s LinkedIn profile HERE to properly sell his strengths and also to optimize Tim’s profile rank in Google for his chosen keywords. Tim’s LinkedIn profile currently ranks on page 1 for his chosen keyword ‘Driving Mobility Consultants’. He also ranks on page 1 for all keywords targeted on his website. 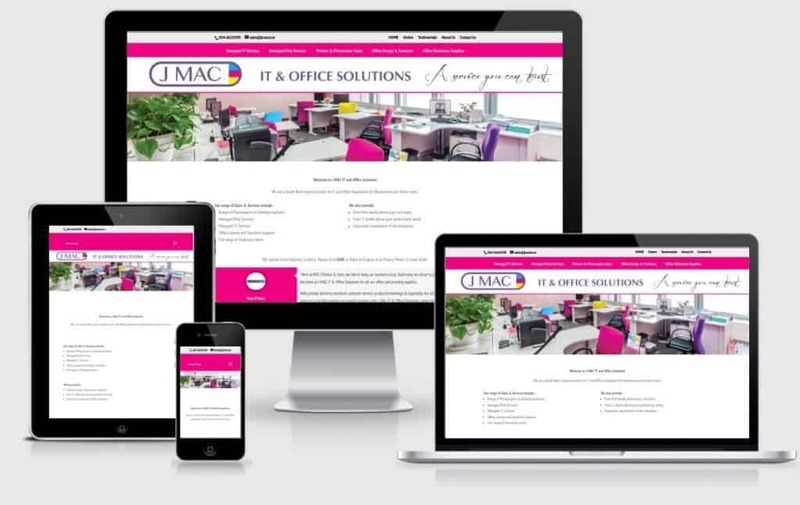 Tim was happy with the overall layout and design of the website and his brand is immediately recognisable to visitors. He now also has visibility of the behaviour of the visitors to his site through his new Google Analytics account. Tim has indicated that he gets many enquiries via his website. Unfortunately, he has yet to get his head around LinkedIn, but we’re sure that will happen in time! Tim offers a very valuable service to the medical profession who require to sign-off on medical fit-to-drive certification and want total peace of mind. He provides this service also to families who are concerned about a loved-ones fitness to drive. Haulage companies also require to assess their drivers on a continuous basis and Tim is there to provide the service. You can view his website at www.resultsdrivingassessmentservices.ie. I would be delighted to recommended Noelle’s hard work and the patience she had with me. I’m very busy as a result of the work Noelle did for me and getting a lot of work through the new website. 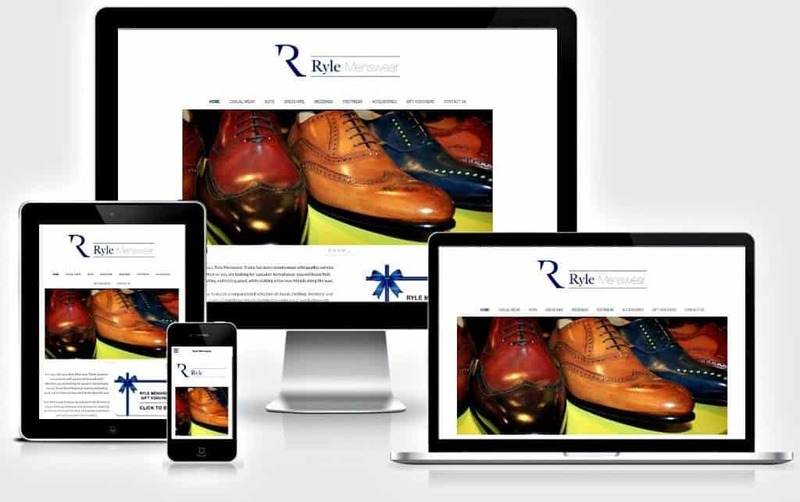 Ryle Menswear are a high-end mens clothing shop in Tralee, Co.Kerry. 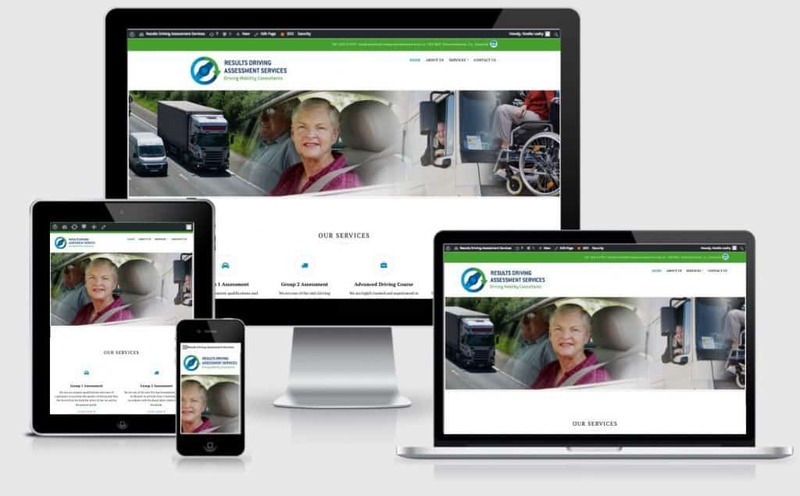 The business is thriving, but they hadn't seen the need for a website until recently. Management finally approached us as they realised that social media on its own was not sufficient as an online marketing strategy and wanted full control over how they appeared to online visitors. The brief was to design and build a professional brochure website which reflected their brand and their high-end market standing. It would also be the hub to promote their brands, special offers and new stock, particularly via their blog. They also wished for an easy way for visitors to contact them. While they were not ready to maintain an online shop, they did require to sell gift vouchers via the website, using Paypal as the payment method. Being a local business, getting found in a Google search was obviously very important to them, as was the ability to track and analyse website visitors. The business required to update the site themselves, especially the blog, so an appropriate training plan was also requested. > The Goals of the business. We needed to ensure that the website design and functionality was in line with the goals of the business. > The reasons for requiring a website and what they expected the site to achieve. > Their ideal customer, so that we could tailor the website to them and target them through on-page search engine optimisation. > Secondly, we provided the required functionality i.e. allowing customers to purchase gift vouchers online, maintaining an easy-to-navigate blog and a contact form for customers to easily contact the business. Tom Griffin is a business professional with many years of experience, many of which have been at senior management level. 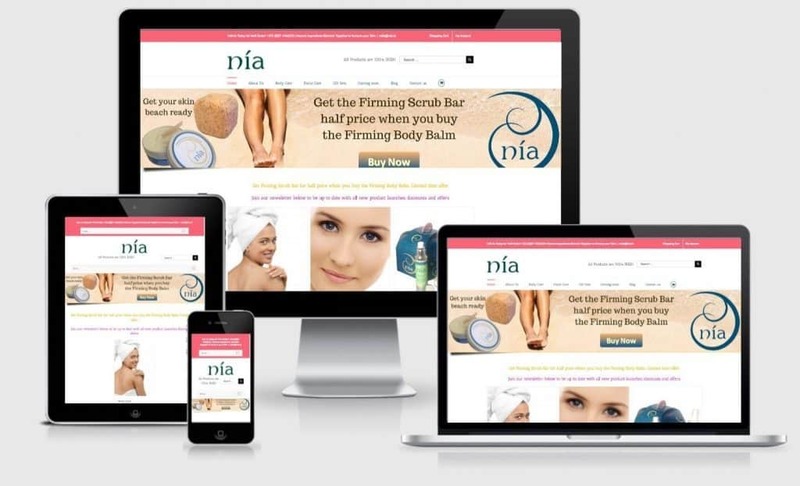 Tom had a website on the Wix platform, but he found that it was inflexible and no longer met his requirements, especially as he had recently re-branded. My brief was to move the website to a more flexible and robust system and one which would allow Tom to easily edit himself. The website should carry his new branding, contain a blog, be responsive to all devices and be search engine friendly. The website would showcase Tom’s services and position him as a leader in his field. Tom would be trained to edit the website and manage his blog. => designed and built the website on the WordPress platform, while carrying the branding through all aspects of the website. WordPress is robust, functional and secure, so it suited Tom’s needs perfectly. – to have content which he can share on social media and get conversations going. The goal is to get people talking positively about his services. Tom was happy with the overall layout and design of the website and his brand is immediately recognisable to visitors. He now also has visibility of the behaviour of the visitors to his site through his new Google Analytics account and knowledge of any indexing problems (by the Google search engine) through his new Google Webmaster Tools account. As part of a re-branding exercise, Noelle Leahy was commissioned to examine our website and bring it in line with a new brand image. I can honestly say that it was an excellent decision, because not alone did Noelle successfully introduce the new brand image in terms of logos, banners and colour styling, but she also reviewed all of the content and carried out a full SEO analysis. As our site was hosted outside of our core market she managed the transfer to a more appropriate hosting site and handled all of the associated communication with the various providers. She ensured that all related functions such as e-mail accounts and blog sites were fully coordinated. What impressed me the most was Noelle’s ability to quickly understand our requirements and implement them on time and with the minimum of fuss. Quite simply once the job was done it was was exactly as agreed and as expected. I would have absolutely no hesitation in recommending Noelle to any prospective client, she is thorough, professional and a really nice lady. It was a joy to work with her!